We also providing Fire Fighting Products to our customers. 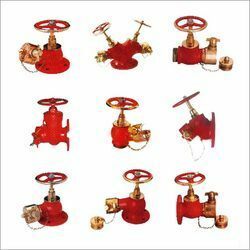 We provide all kinds of Fire Fighting Products to our clients. These products are sourced from our certified vendors in the market. They provide us all kinds of fire fighting products that are used in offices, home, industries and various other places in the market. These products are manufactured at our vendors’ end using high quality materials and advanced technology. Also, these products are developed adhering to industry standards. It is installed in domestic, commercial and industrial sectors.